The chemical engineering department is pleased to announce that Assistant Professor Andrew White has received a prestigious National Science Foundation (NSF) CAREER award to study the science of self-assembly through molecular simulation. The NSF CAREER award provides $500,000 of support over five years for research and outreach for Prof. White and his graduate students. This funding will help develop a long-term research program at the University of Rochester on molecular simulation for both understanding how molecules interact and to design novel materials via computer-aided design. 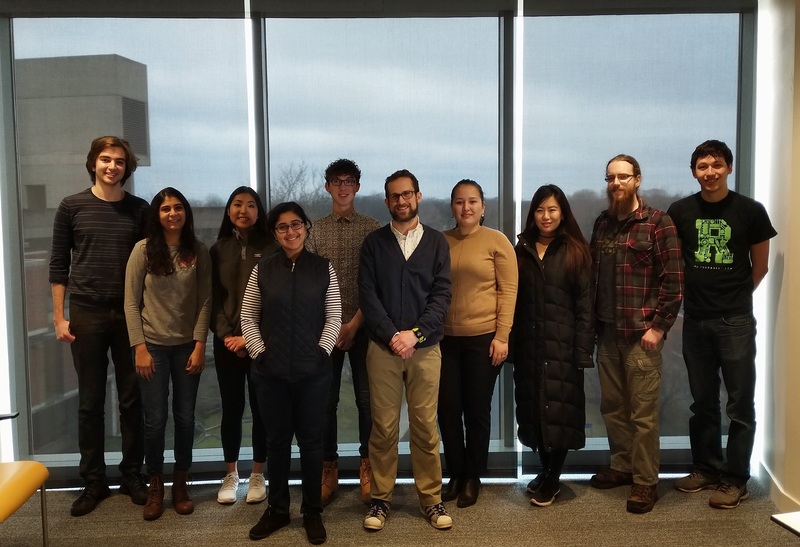 The selection of Prof. White was determined on the basis of both his research proposal to study self-assembly of peptides and a creative outreach plan to better educate the local Rochester K-12 students on the connection between the molecular structure of materials and their properties. The process to be studied, self-assembly, is the spontaneous organization of molecules into a supramolecular complex or new phase without the formation of chemical bonds. This process describes a wide range of phenomena from protein aggregation, to liquid crystal orientation, to polymer nanocomposite formation. Self-assembly is particularly important in protein aggregation diseases such as Alzheimer’s disease, where self-assembly of mis-folded proteins is believed to be the underlying cause. The main objective of Prof. White’s proposal is the development of a framework for multiscale modeling of peptide self-assembly, in which molecular simulations are corrected using experimental data. The proposed research combines state-of-the art computer simulation techniques with the novel capability of using experimental data as an extra input to simulations to improve their accuracy. Public outreach will be done via web-based applications for teaching undergraduate students about multiscale modeling. For K-12 students, a virtual reality workshop is being developed to help students understand why studying problems at the molecular level is important to describe macroscopic properties. You can follow the progress of the web-applications at Prof. White’s research page: http://thewhitelab.org and you can explore other research of the Chemical Engineering Department at University of Rochester here: http://www.hajim.rochester.edu/che/. Illustration 1: Prof White (center) and his research group of undergraduate, MS, and PhD students.